World music superstar Beyoncé Knowles has announced plans for a new world tour at the beginning of the year which includes several UK and Ireland arena dates scheduled to take place in April and May of this year. After taking sometime out to look after her new born, the superstar is looking forward to picking up where she left off in the UK following her triumph at the Glastonbury festival. 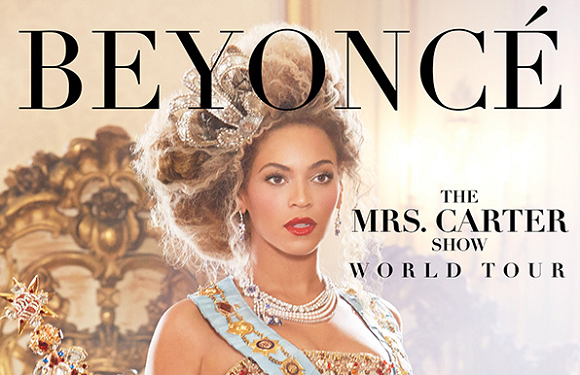 The tour is title The Mrs Carter Show World Tour in reference to her married name. The tour will begin in mainland Europe, with shows planned for Serbia, Croatia, Slovakia, Holland and France, before it hits the UK shores in April. Such has been the demand for tickets in the UK that Beyonce has had to put on a number of extra dates to keep fans happy. •	Dublin O2 – 12th May 2013.